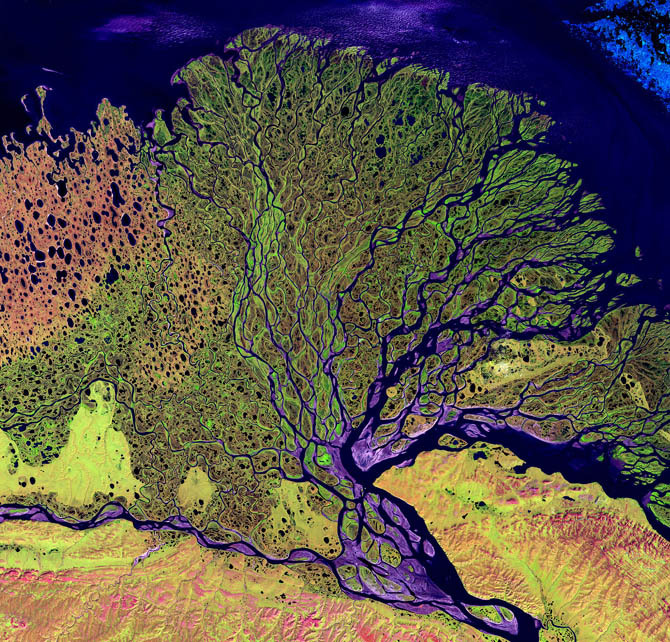 Check out this beautiful gallery of pictures (including hi-res images) of rivers from all over the world, imaged by satellites and photographed by astronauts. "Rivers connect Earth’s mountains and lakes to its oceans, creating lifelines that provide water, food, transportation and recreation along the way. Some rivers, like the Nile, bring life to barren landscapes that would otherwise be uninhabitable. Others, like the Mississippi, defy our best efforts to tame them."